Your mobile recharge just got smarter. Find your perfect plan and save time and money. "I myself use this app on my smartphone. And its an amazing app to save time and money." Before you recharge your prepaid mobile, find the best recharge plan / pack for your exact need. 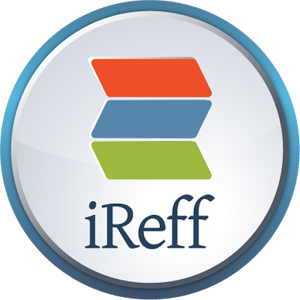 iReff app is the fastest and easiest way to find the recharge plan you need and buy it through our recharge partners. Browse through the common benefit categories - Topup, SMS, Data (GPRS / 2G and 3G), Local, STD, ISD. Or try the powerful full text search feature to find recharge plans matching your specific need.You can find details about Topup Vouchers, Special Tariff Vouchers (STV), Combo Vouchers and Full Talk Time offers. Buy the selected recharge plan through our recharge partners Paytm and Mobikwik. More partners will be added soon. You can also find commonly used USSD / SMS codes for checking balance and remaining benefits. Want to contact the operator customer care? We got that covered too.